van den Hul The Clearwater review | What Hi-Fi? 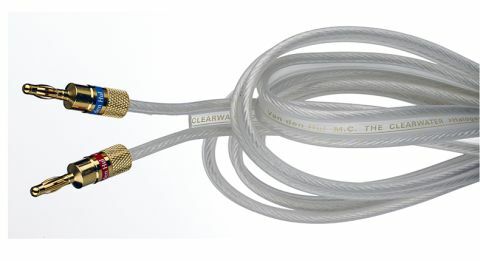 The jacket covering The Clearwater speaker cable has an almost jelly-like consistency, which makes the cable extremely pliable – it’s one to consider for installations. And the dinky plugs fitted to the end of the Van den Hul add to the cable’s neat presentation and appeal. The appeal goes up a couple of notches thanks to a balanced and involving sound. Play Drake’s Started From The Bottom and the cable helps to reveal great power and depth from bass notes and crisp, far-reaching highs. And it’s all done without sacrificing anything in the way of cohesion and integration. There’s an impressive level of detail, dynamic clout and clarity, but this cable also allows your system’s sense of refinement and finesse to shine through. Natural-sounding vocals and plenty of layering and texture to instruments really give tracks the ability to communicate effortlessly with the listener.